Spice Market Cafe? 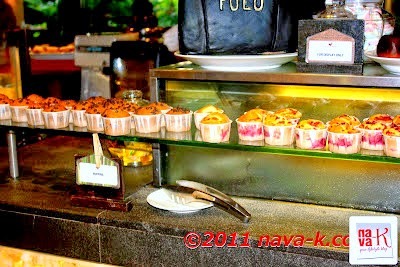 The dining cafe in Rasa Sayang Resort & Spa where you will be having your breakfast. I think you can opt out as well, but please don't. 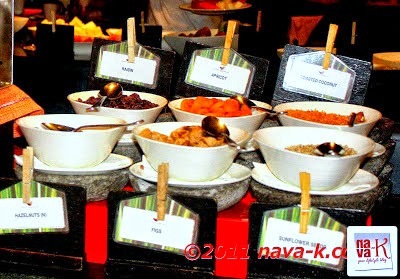 Even I who is not a breakfast person, I must award high praises for breakfast in Spice Market Cafe. My-My. 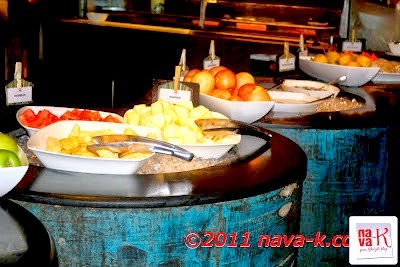 One of the best breakfast buffets in a hotel. Splendidness spoiled for choice. Until you won't know where to start. This or that, or that or this, or all of it if you are a piggy-pig. Plus, food aside, the customer service. All the plusses. All. All of it. Imagine! 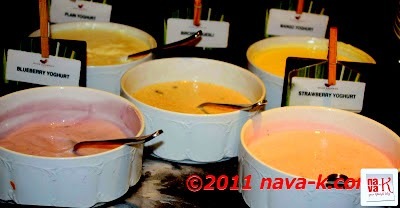 Morning positive energy showering greetings as you walk in and all throughout the time you are in Spice Market Cafe. In fact, from the time we stepped foot in Rasa Sayang, every staff we bump into, even the cleaners, they happily and smilingly greeting us. 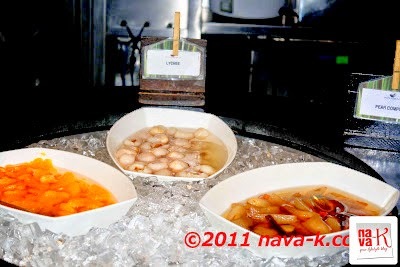 Now, breakfast in Spice Market Cafe? Like I have already told, go ahead and glory over food. Western spread plus no short of our Malaysian delights. My other half-half? Very simple for him. He being not so adventurous like me when it comes to food venturing, he settled for scrambled eggs, baked beans, croissant and a glass of fresh orange juice. God! So boring right? Like we can't have these at home? For me personally, I will give a to those dishes I can't have at home. What did I opt for then? 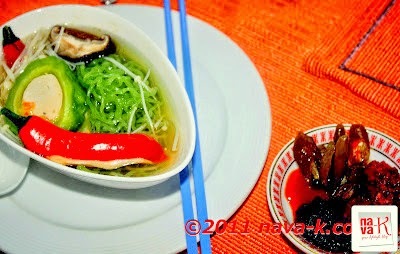 Spinach noodle, noodles made with spinach and a few pieces of yong tau foo (fish stuffed items) in soup, and eaten by dipping into fresh chillies in soy sauce and spicy dips. Lovely! I was not done yet. No. 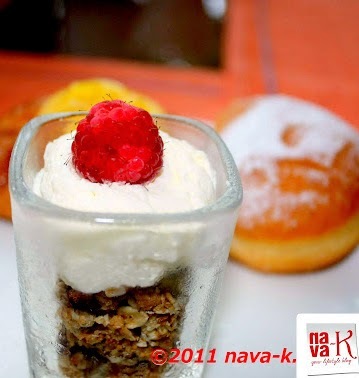 My second round consisted of a cute glass of cereals and cream and raspberry atop. Also, two soft puffy doughnuts. One dusted with sugar, the other glazed with fresh pineapple syrup. Yum. We also had refills of coffee maybe for another two rounds and within the next fifteen minutes, we decided to leave. Me back to our room and my other half-half for his appointment. Breakfast in Spice Market Cafe overall? You gotto try. Pricey no doubt, then again, quality comes with a price? Ha-making a decision would have taken me the longest, lots of great food to choose from. Also, I do like the cereal thing as well. No doubt you enjoyed their buffet. Thanks for sharing this! 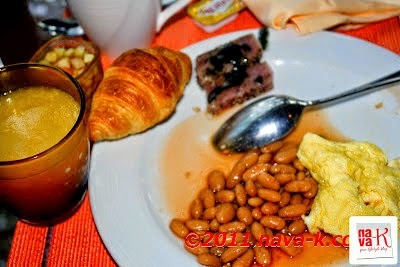 I love how the idea of what is a good breakfast differs around the world. 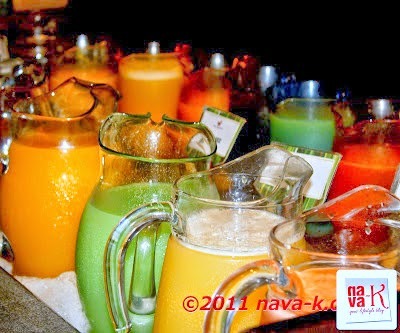 Those juices look wonderful! That looks like an awesome breakfast spread!!!! 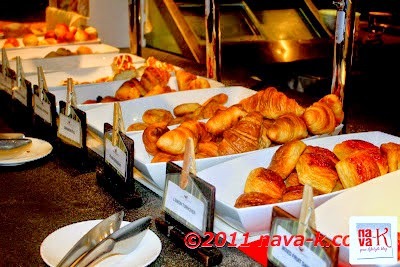 Love the bfast spread in hotels! Everything looks delicious! I'll definitely have a hard time choosing too! I would have a field day in this spice shop! Everything looks so delicious I'm getting hungry now.